DAVID LE/Staff photo. 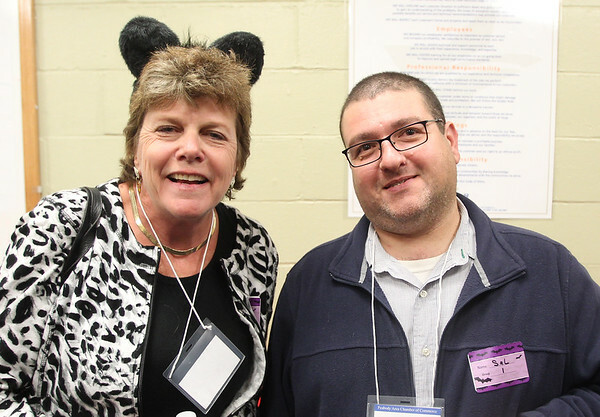 Lisa Vince, of Fetch Petcare, and Sal Palermo, of Northeast ARC, at the Peabody Area Chamber of Commerce Business After Hours event held at Cranney Self Storage on Thursday evening. 10/29/15.